Thrawn may commit treason in a new book. When it comes to Star Wars canon, we don’t know where Grand Admiral Thrawn is during the original and sequel trilogies. Rebels saw to that. But, there’s still plenty of gaps to be filled in and his creator, Timothy Zahn, is doing that once again. 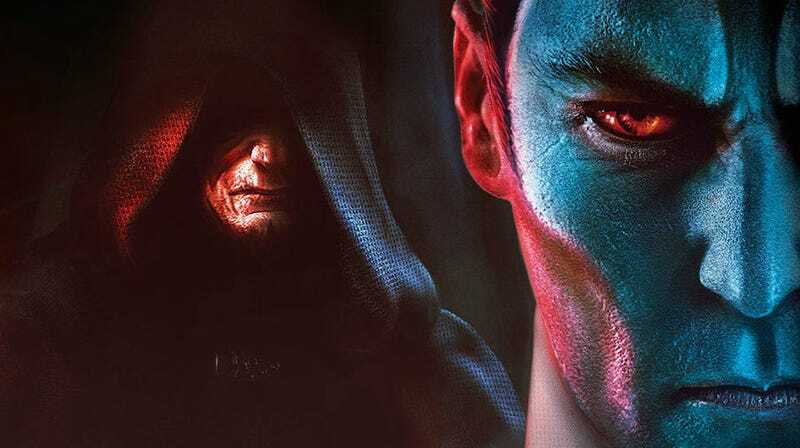 The Star Wars Show announced that Zahn’s new book, Star Wars: Thrawn: Treason, will be released in the Summer of 2019. It takes place once Thrawn realizes his TIE Defender plan (as seen on Rebels) has been passed over for Director Krennic’s Death Star plan (as seen in Rogue One) and he begins to question his place in the Empire. You can read more about the plot on the official website. Here’s the full, intense cover. Pre-order begins on the book next week ahead of its release next summer. That timing also assures the book will a place of prominence at Star Wars Celebration Chicago in April. If you want to learn more about Thrawn’s stories, check out our coverage on Zahn’s previous books below.